World Cup GOOAL for Buffalo Wild Wings! One of the biggest beneficiaries of Americans' newfound love of soccer is Buffalo Wild Wings. Americans are picking up beers and wings to watch football -- the World Cup kind. And unlike the Super Bowl, the World Cup goes on for a month, providing lots of opportunities for sports fans to buy cheap wings. It's similar to the bounce the bar and grill chain experiences for March Madness, the college basketball tournament in March. 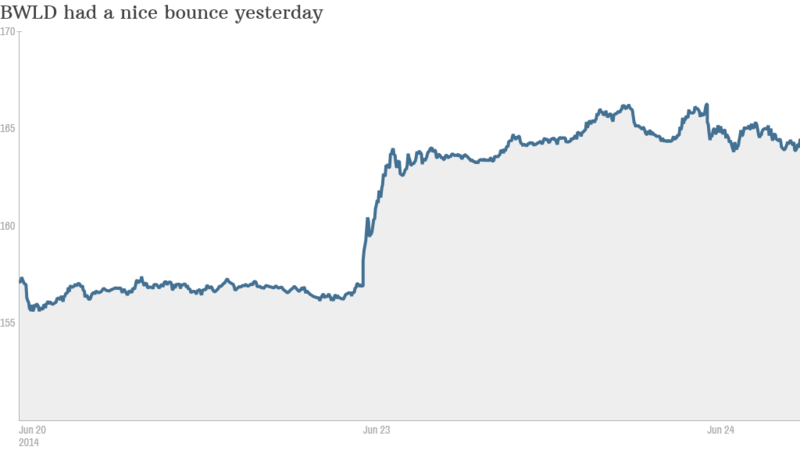 The trend has caught the eye of Wall Street. Buffalo Wild Wings (BWLD) stock hit an all-time high on Monday when it surged 6% to $166. Part of this "World Cup bounce" can be attributed to Bob Derrington, who covers the company for Wunderlich Securities. During the USA-Portugal match on Sunday, he was struck by how many locations had wait times of up to an hour for tables. It was standing room-only viewing. He thinks that the sudden World Cup mania among wing-craving U.S. sports fans is so intense that he's raising his estimate for the company's growth. He thinks same-store sales will be 6% higher for the company because of all this. His research note on Monday helped put the stock in overdrive. While the stock has fallen slightly today, it's still well above its Friday closing price. Better traffic for bars makes sense, considering that the event is having its best-ever American ratings. Over 25 million people watched Team USA take on Portugal if you include viewership on both ESPN and Spanish language channel Univision. But American matches aren't the only ones generating interest. "Interestingly, our sources told us that regardless of what matches were being featured since the World Cup began, World Cup viewership in B-dubs [short for Buffalo Wild Wings] has consistently been very strong, with most of the 'soccer powerhouse matches' including Mexico, Brazil, and Germany especially well attended," Derrington wrote. This couldn't be coming at a better time for Buffalo Wild Wings. Prices of its famous wings are about 20% lower now than last year, which only helps to spice up the company's margins. 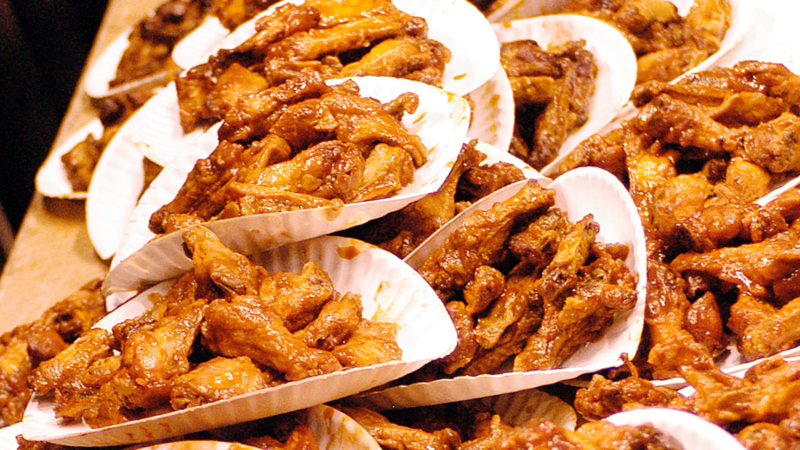 Spot prices for wings were at $1.20 per pound recently, Derrington said. That's even down from April when they were at $1.40. Related: What if chickens looked the way we value them? The World Cup's energy is especially welcome for bars because summer is typically a lull in American sports. The NFL is in its off-season, as are the NBA and the NHL. Baseball is the only other game in town, and it's about halfway through its season, so any unexpected excitement stands out in a big way. "Typically, June for bar and grills is relatively a quiet period," he said. And when the U.S. plays Germany on Thursday, he thinks wing-and-beer establishments across the country will be a testament to just how un-quiet things have become. "It's not just Buffalo Wild," he said. "It's any sports bar. It'll be packed."